I will be giving you a detailed account of the SEO PowerSuite review 2018 today. For those of you who don’t know SEO stands for search engine optimization which if done correctly can get your website and all the content within it ranking on page 1 on all search engines such as Google, Bing, and Yahoo. This is where we all strive to be right? So, without further delay let’s get to it! SEO PowerSuite At a Glance…. SEO PowerSuite is search engine optimization software with tools that assist you with getting your websites and domains to positions where you can maintain top traffic-generating rankings in the search engines. One of the reasons why I was drawn to the SEO PowerSuite software is because it is widely used by many top corporations such as Amazon, Disney, HP, Microsoft, Cisco, Intel, and Toshiba which are companies that I love and trust. There are over 500,000 businesses that have used SEO PowerSuite to grow their business and this includes the businesses that I have mentioned above. Not only does SEO PowerSuite have the necessary tools to help your site rank, it also includes BuzzBundle which you can manage your social media accounts with. We all know how much time it takes to stay relevant to your social media followers. Well, BuzzBundle takes care of it all so you will have more time to focus on your content. SEO PowerSuite software will help you improve your on-page optimization, performance tracking, backlink management, and competition analysis. What’s nice about SEO PowerSuite is that it is very user-friendly, so you don’t have to be very a pro with technology to use it. The software kit is compatible with Windows, Mac, and Linux. So, in short, using SEO PowerSuite will improve your performance by giving you insights into your business and saves you time that you would be spending on your SEO tasks so that you can spend it working on other aspects of your business. Who is SEO PowerSuite For? People that can benefit from using the tools in SEO PowerSuite range from those that are just starting out with SEO all the way up to SEO agencies. This includes Newbie SEO’s, website owners, professional webmasters, and SEO agencies. Rank tracker enables you to check website ranks in over 340 search engines as well as performing keyword research. The keyword suggestion module uses sources such as SEMRush, Google’s Adwords Keyword Planner, Google Autocomplete, Yandex Wordstats, and competitor’s meta tags. SEO Spyglass allows you to find all the backlinks a website has so that you can analyze them. Some factors used are Alexa, IP, anchor text, domain authority. Website auditor helps you analyze your site and fix any errors that may be hurting your website with the search engines such as broken links, missing or duplicate titles, HTML errors, dofollow and nofollow links, etc. Link Assistant is a tool that helps you to get hundreds of quality backlinks as well as monitoring their status. This tool helps you to increase the speed of getting backlinks as this can take a lot of time. There are many other things this tool can do one I find interesting is that you can compare your competitions backlink profiles together and see the traffic brought by each backlink. BuzzBundle is a one-stop shop to engage, respond, post, to your social media accounts. You can create different personas and you can add unlimited accounts to each persona. You can also post to forums, blogs, and Q&A. You can use the free version with SEO PowerSuite or there are 2 other options: Professional $199 and Enterprise $399. The use of the free version and I’m good with that, however, your needs may be different. The edition that is the best value to you will, of course, depend on the size of your business, whether you have clients, and the type of features that you need. I have posted the prices and features below for your review. I hope the SEO PowerSuite review has been informative for you. In my opinion, SEO PowerSuite is an awesome software package that empowers you to monitor and improve your rankings, website health, content optimization, and incoming and outgoing links. I currently use the free version and I find that it has helped me be more efficient when it comes to the SEO on my websites. Not only does it help with SEO, I really enjoy BuzzBundle which is the social media manager. This product helps me with all the social media platforms that I use more regularly; Google+, Twitter, and Facebook. BuzzBundle also supports LinkedIn, Vkontakte, and YouTube. For the platforms that you use that SEO PowerSuite does not support there is a form that you can submit requesting that they integrate it. I like the fact that they are taking suggestions and feedback from their customers. I hope that the SEO PowerSuite review 2018 has helped give you a complete overview of the services that they provide and how it can benefit you in your business. If you have any further questions, comments, or you have anything that you would like to add please feel free to leave them below or email me at shwana@strategicmarketingaffiliates.com. Hello Karen. I am glad that you enjoyed the review. SEO PowerSuite does have a ton of valuable benefits does have a ton of valuable benefits that are beneficial to any online marketing strategy. I absolutely love the product. Backlinks are still worth building as it gives authority to your website. Click here to check out my article about backlinks for more info. Thanks for taking the time to leave a comment and if you have any other questions feel free to ask. Best of luck to you! I haven’t experiences about SEO softwares earlier. All the services to improve your SEO rankings seems to be interesting and relevant to the SEO Optimization in this software. However you have to pay quite a nice price if you want to leverage from the best services. As you’ve used the Seo Power Suite free version, I wonder are there really a real advantages to improve your SEO rankings. The free version seems to be quite a limited with services available. This is a good description of the SEO tools that SEO Power Suite offers. I’m interested the BuzzBundle and I’m going to try the free version and check out how it works. Hello Kari, thank you for taking the time to leave a comment on my article. 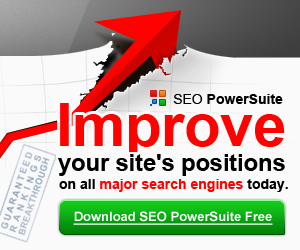 SEO PowerSuite’s software is structured to improve your rankings even with the free version. Yes, I agree that you get a lot more benefits from the paid editions in comparison to the benefits of the free edition, however, in comparison to other similar software the price is pretty reasonable. The BuzzBundle social media management tool is an awesome tool, I think you will like it. After you try it let me know what you think. Thanks for visiting. Best wishes! Thanks very much for this SEO Powersuite Review. Tools that increase your visibility in the search engines are worth exploring for any blogger. BuzzBundle sounds particularly appealing to me as I need to find more efficient ways of managing my social media accounts. At the very least, I will check out the free version to get a sense of the potential advantages for my online business. I appreciate the useful info! Hello Linda. Thank you for taking the time to read my article to leave a comment. I am glad that you enjoyed it. Increasing online visibility is the focus of all bloggers, for sure it is how we make our money right? Personally, I use SEO PowerSuite and it has helped me with my backlinks and BuzzBundle does help you manager all of your social media accounts. We all know how time-consuming that can be. I think you should check out BuzzBundle to manage your social media, it is an awesome tool. Wishing you the best success in your online business. Hi Shwana, thanks for sharing! I am a newbie and don’t still know how does precisely SEO work. 1. If I Decide to install the SEO Powersuite on my WordPress, should I delete the All In One Seo, or I have to keep them both? 2. It seems like the free Version is enough for a content writer, but is it as efficient as they show? Did you find a considerable difference between All In One Seo and Seo Powersuite? Hello Marta. Thanks for taking the time to leave a comment. To answer your questions, SEO PowerSuite does not replace your All In One SEO, it is search engine optimization software that helps you with building links, managing your social media accounts, competitive analysis, on-page analysis and optimization, and keyword research and analysis. So yes, you would keep them both. I use only the free version and it is more than efficient for what I need. I have 2 domains and I have just started 2 more. 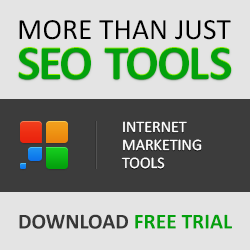 Click here to try SEO PowerSuite for free and see for yourself. Let me know what you think. I am glad that my review was informative for you. If you have any further questions or comments please leave them below. If you decide to check it out let me know.